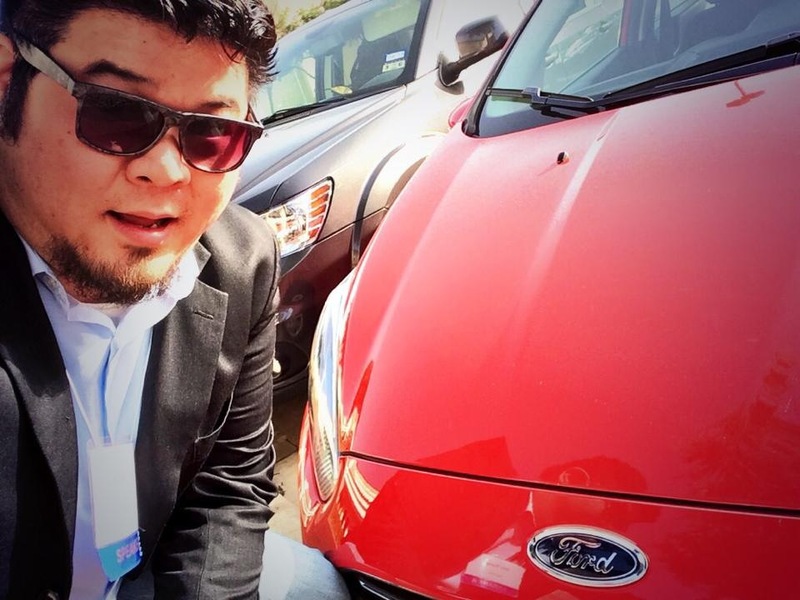 I was amazed a few months ago when the Ford press fleet manager contacted me and asked if I wanted to try out cars – for free. Of course! We’re actually in the market for a new car. Plus, my wife is a native Michigander, and her cousin and an uncle work for Ford, so you could say we’re part of the Ford Family already. The first car they gave me was a 2014 1.0L Ford Fiesta Ecoboost. I think they choose that one to make sure that they can trust that you’ll return their cars back to them, before they issue you higher-end models. Either way, I hadn’t driven a manual shift vehicle in over a decade, and only when my best friend Charles taught me on his 1996 Ford Ranger in my school parking lot. And to really put the pressure on, I had the vehicle over the weekend I was driving to Dallas for DFWRocks, a social media conference. Could I trust myself to remember how to drive a stick, and put in eight hours behind the wheel on unfamiliar streets? So, What’d I Think about the Ford Fiesta? Basically, I thought the 2014 Ford Fiesta was a great sporty little car that would be a great starter for almost anyone. I only had a chance to seat three in the car, but it seemed that four adult-sized humans could fit comfortably in the car. Even for a relative beginner on a manual shift, the car was easy to get a hang of, and the entire week, I think I only stalled it twice – not bad for a stick-newbie like me if I do say so myself. The fuel economy was amazing – mid 40’s just about all week. The official EPA-estimated rating: is 31 city/43 hwy/36 combined mpg on the 1.0L EcoBoost engine, combining direct fuel injection, turbocharging and twin independent variable camshaft timing. The Ford Fiesta was Engine Technology International magazine’s “International Engine of the Year” and delivers 123 hp and 125 lb.-ft. of torque. The entertainment system offered a lot of features, including bluetooth connection to your phone – a must for the younger crowd that this vehicle is targeted towards. For those that want a little more, voice-activated Microsoft Sync is offered, as well a higher trim and interior packages.